Have you seen or heard of SQUARE UP? It’s that tiny white square that small business owners use on hand-held devices like cell phones and tablets. It allows customers to pay for purchases using credit. 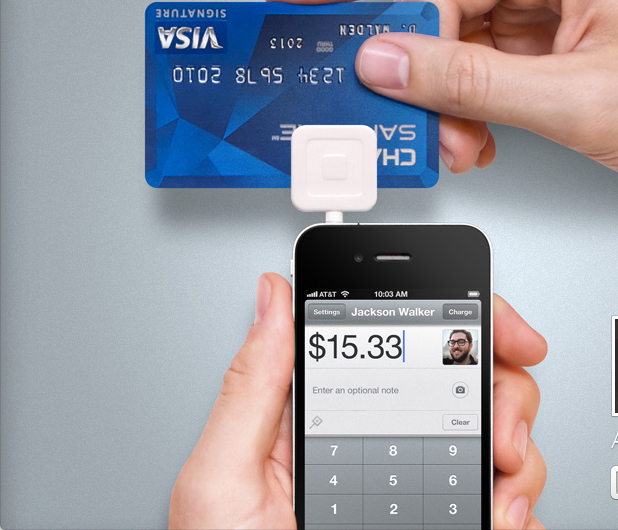 So what does this helpful little device actually cost you, the business owner? So, if you’ve been charging $10 for your books in person to keep handling change to a minimum, you could easily charge $12 if someone wants to pay credit. You would pay .33 cents on each book. Consider the possibilities – by allowing anyone at any time to pay with any type of credit card (or cash) they have on hand, you will never lose another sale. And you won’t be charged extra for any one particular type of credit card. It’s 2.75 % period. Now, if you decide to use the manual feature where you punch in the card number of the payee instead of swiping using the actual square it will cost you 3.5% + 15 cents. So, that $12 book will pay Square Up .57 cents instead of .33 cents. You have done all this hard work publicizing yourself and marketing your book, the last thing you want to do is lose a sale to chance. If you’ve been doing business on a cash-only basis take a good look at what Square Up can do for you – how much more money could you be making by selling that many more books at local signings and readings? This system works with iPad, iPhone, & Android.